Over the next month, I'll be reviewing each position's performance for the Dolphins during the 2013 season, noting the good and the bad play and looking ahead at where the position stands for the 2014 season and beyond. Check out the archives for past entries in the series. Many Dolphins fans have bemoaned the departure of Reggie Bush in free agency, and the reality is that neither of the Dolphins' two primary backs from 2013 can touch Bush in the talent department. That being said, I have little issue with letting Bush walk and even less of an issue with Lamar Miller. Granted, the guy could be a little more physical. (Reggie Bush, often regarded as fail and injury-prone, proved just how physical a guy his size can be in Miami.) But Miller has plenty of talent to play in this league and would, in my opinion, be quite productive on a good team. Starting all but one game for the Dolphins this past season, Miller rushed for 709 yards on a 4.0 average that I'd consider quite reasonable given how bad the line was. The blocking, as noted over and over again, was atrocious and the departure of Richie Incognito due to midseason controversy certainly hurt no one more than Miller. Marcus Thigpen maintained the third back job, thanks in large part to his role as the team's return specialist. He's a decent receiver out of the backfield but has very little upside and I would have liked to have seen a little more of rookie fifth-round pick Mike Gillislee (6 carries in 3 games). Of course, not playing his rookies has been par for the course under Joe Philbin. The Dolphins went into 2013 without a plan at fullback and ended up using Michael Egnew in that role for much of the season. Although that isn't what you want out a third-round tight end, Egnew displayed slightly above-average blocking skills. The Dolphins' entire backfield is under contract for 2014 (Thomas is entering the final year of his contract), but that doesn't mean changes aren't coming. Thomas is no lock to even make the team after three disappointing seasons and bringing in competition or a complement for Miller is certainly within reason. 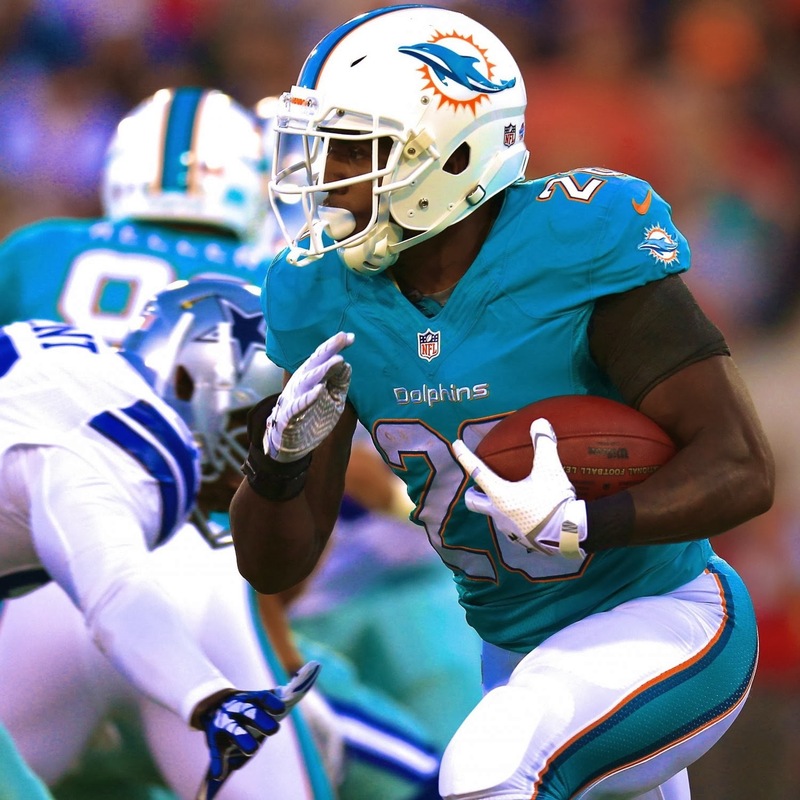 I would hope the Dolphins don't overspend on a free-agent back like Ben Tate, Knowshon Moreno or Darren McFadden. Not that I particularly dislike all those players, but running back is an easy position to fill because a good line and a good quarterback make it easy to have a running game and that means it's best to have draft pick money at the position. In general, I'm not overly concerned with who the Dolphins trot out at running back in 2014, because I know that the bigger issues are the line and quarterback. Lamar Miller might not look like LeSean McCoy, but he's more than capable of being a productive starter with good talent around him.